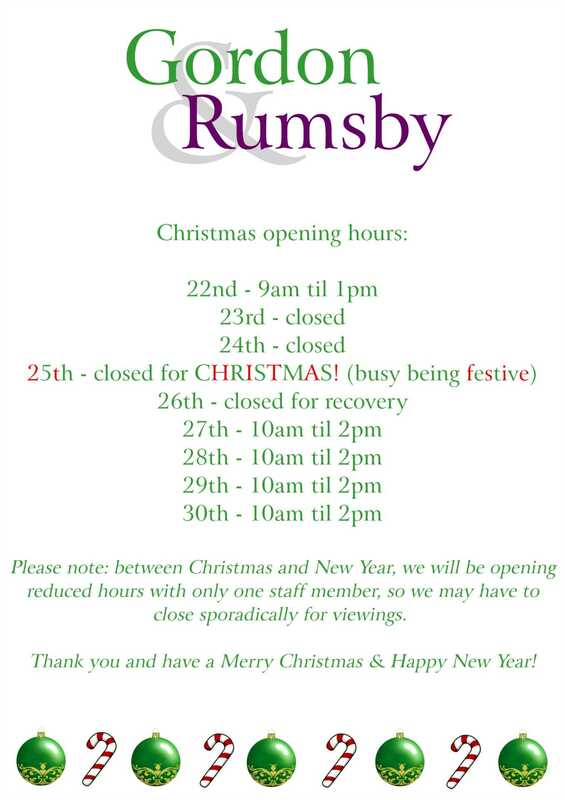 Gordon & Rumsby - News- Christmas Opening Hours 2018! 31st - closed for New Year`s Eve! 1st Jan - closed for New Year`s Day!